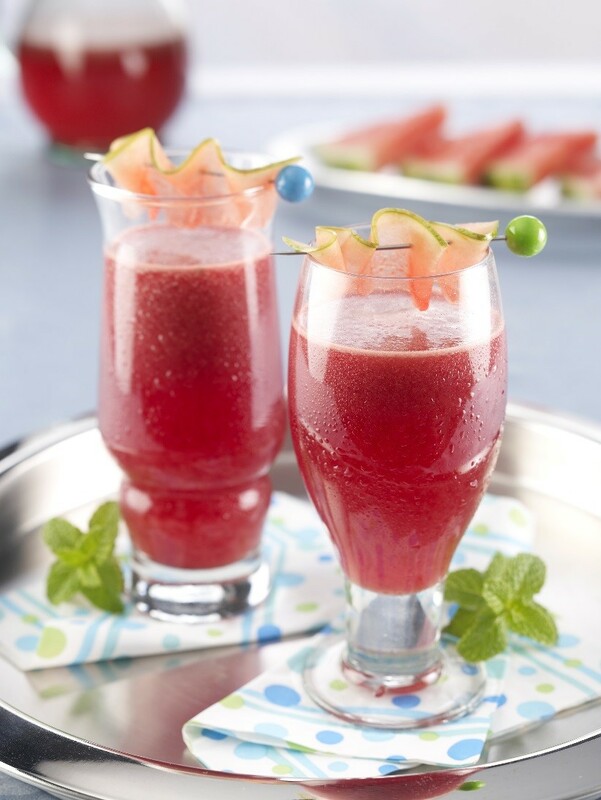 FEATURED RECIPE: GREEN TEA PUNCH - What About Watermelon? The second best thing I like doing with watermelon — other than eating it — is drinking it. What I love most about watermelon beverages is that you don’t waste much of the melon to make it. You can also use a less-than-perfect or overripe watermelon without sacrificing the flavor. Watermelon goes a long way, too. One average-sized watermelon can serve up to three dozen people. Or, if you’re like me, it serves one person! Blend ingredients in a large beverage container and chill. Serve over ice. DON’T FORGET TO CAST YOUR VOTE FOR THE “PEOPLE’S CHOICE” WINNER ON THE OFFICIAL 2015 WATERMELON CARVING CONTEST PAGE!